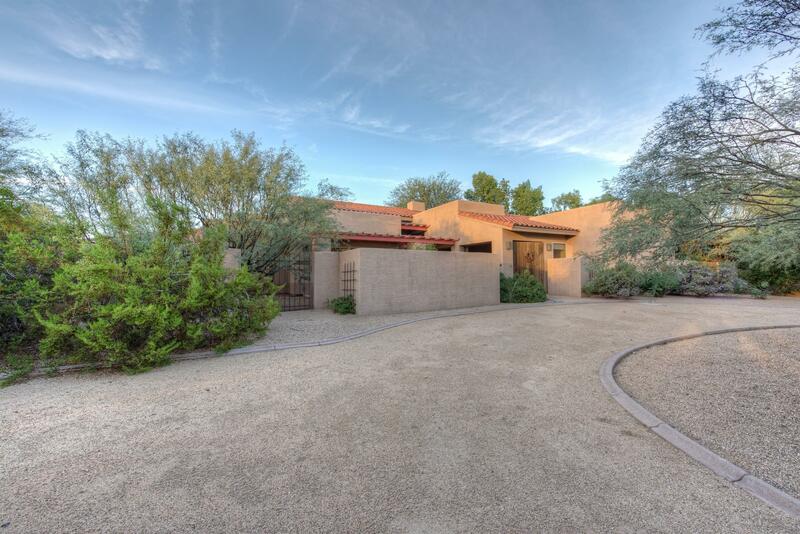 All PARADISE VALLEY RANCHOS 2 homes currently listed for sale in Scottsdale as of 04/25/2019 are shown below. You can change the search criteria at any time by pressing the 'Change Search' button below. "$65,000 Price Reduction! Charming home in great neighborhood, kitchen appliances are kitchen Aid and Bosch, granite counter tops, maple cabinets, walk in pantry, floors are polished concrete, tile, bamboo wood and carpet, master bath has large separate shower and jacuzzi tub and bidet, large walk in closet, pocket doors from family, kitchen and dining, built in BBQ grill/outdoor kitchen, two outdoor wood burning fireplaces, heated spa,all new windows in 2004, original house updated in 2007 and "
"Meticulously maintained starts with the stunning front entry to this gem in the desert, new neutral 12 X 24 porcelain tile and warm wall tones makes this home light, bright and very inviting. Formal living and dining room take you into soaring ceilings for a dramatic kitchen family room area, kitchen features granite counter tops with custom cabinetry and all new hardware, breakfast bar and separate breakfast room, family room has built in entertainment and cozy fireplace. Off the kitchen there"
"OPPORTUNITY AWAITS~! You just found your home~! Premium interior home site with newer 2 bedroom guest house and shop already built. You can live in or rent the finished quest house until the new home or remodeled home is completed OR live in the main home as ''is''.. Huge shop offers both over height parking and loft storage space with hoist. 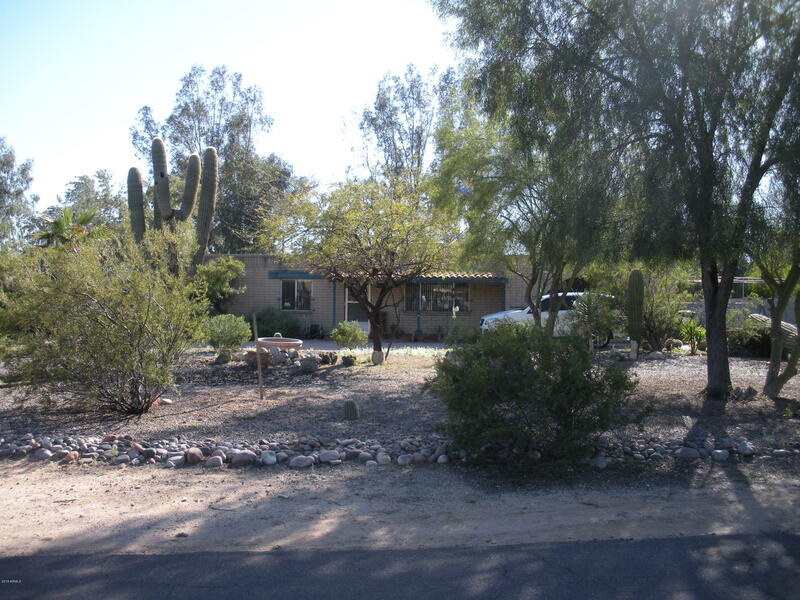 Existing home is entirely livable but the area begs for a new home to be built and offers nice upside potential. 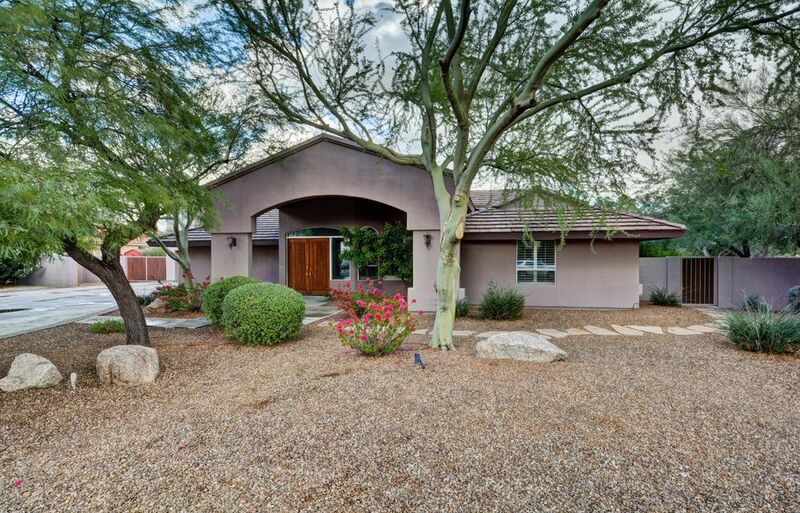 Many new homes & remodels line the stre"